This article originally was published in the Western States CAT company newsletter. It is republished here with permission. We have had the privilege over the past few years to partner with the Idaho Department of Labor in providing high school students valuable work experience in the form of summer internships. We would like to briefly highlight this summer’s student intern, Samim Mohammad Aziz, who comes to us from Boise School District’s Dennis Tech Center Diesel Program. Samim is a hard-working and intelligent young man with a unique story. Here’s a little more on his background and his intern experience this summer. Samim’s family fled Afghanistan when he was 7 years old to Russia. After spending 8 years there, they then moved to the Ukraine to find work for his father. Samim and his family have lived in the US now for over 3 years. Samim always worked with his father to help support the family while still going to school and handling the challenges associated with moving to several different countries. Samim holds a 3.8 GPA, and also speaks 5 languages fluently while learning to be a diesel technician at the Dennis Center. One of his many goals is to win the Gold Medal next spring in the State Skills USA Diesel competition held at the WSECO Meridian branch… he placed 5th last year. He also hopes to be accepted into the CAT Think BIG Training Program next fall. During Samim’s internship, the Idaho Department of Labor came by to check in on his progress and see what we were teaching him. The week after our meeting with them, I was contacted by John Russ from the Meridian IDOL Branch. He notified us that out of 200 students and their associated companies that they had met with, that Samim had been selected to speak with Gov. Butch Otter about the experience and how the program was benefitting him. This young man’s remarkable life and experience was what grabbed their attention, along with the ongoing commitment that WSECO has made to their communities. 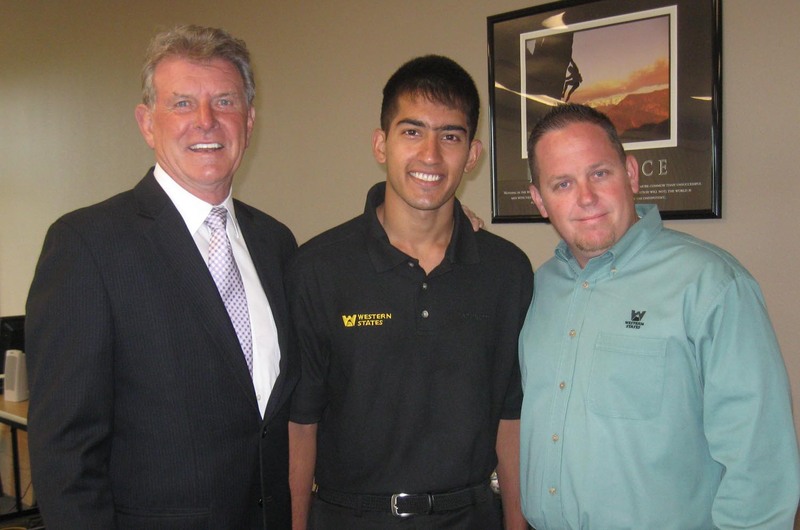 Governor Otter was very impressed and pleased with Samim’s story and also to WSECO’s dedication to educating our youth on career opportunities. What a memorable and rewarding experience for everyone involved. If you would like to learn more about getting involved with a summer internship through your local Dept of Labor, please contact Employment Coordinator, Cameron Pickett at (208) 884-2233. This entry was posted in Students and tagged idaho department of labor, intern, Western States CAT on August 30, 2013 by Idaho Department of Labor. Employers have been increasingly voicing concerns about job applicants – especially young ones – having basic job skills – what’s called soft skills. 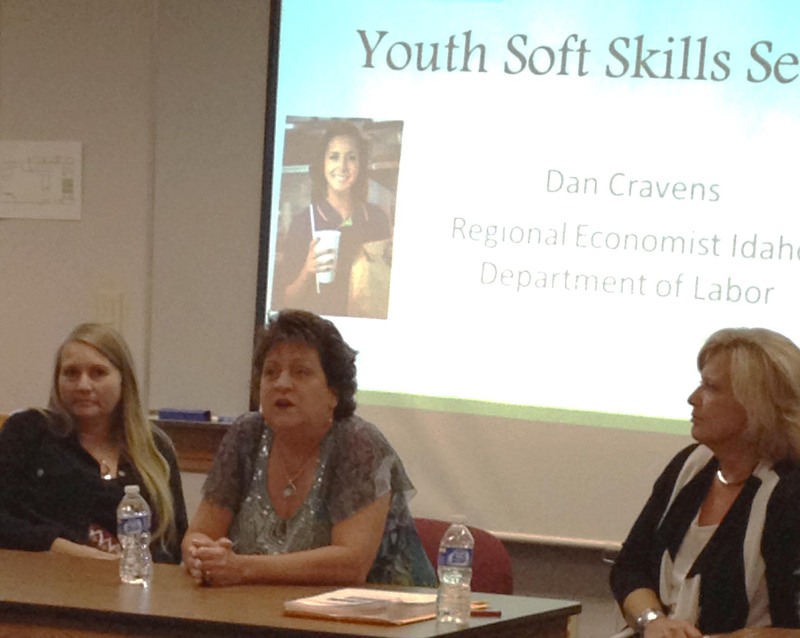 Stacy Miller, Mary Johnson and Kim Smith discuss why soft skills are important to employers. Many of the 16-to-24-year-olds face the same challenges young people across the country face – unemployment rates over 16 percent. Unemployment rates would probably be higher for this age group, but too many young job seekers have just given up hope of finding work. This entry was posted in Job Seekers, Students and tagged idaho department of labor, job interview, job seekers, resume, soft skills, teens, WIA youth program, youth on August 27, 2013 by Idaho Department of Labor. 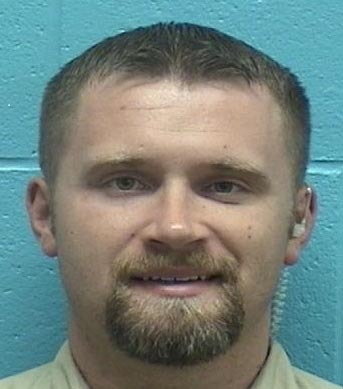 Josh Florea was 24 when Welco of Idaho closed its Naples cedar mill in December 2009. He had worked there since he was 19 and now needed a new career path. Josh knew he wanted a career in law enforcement and applied to POST (Peace Officers Standard Training) Academy. When he was not accepted for enrollment, Josh went back to the drawing board and came up with a new plan. In early 2010 workers laid off from Welco became eligible to apply for Trade Adjustment Assistance (TAA) to assist with retraining and re-employment. This entry was posted in Job Seekers and tagged idaho department of labor, job seekers, tips for job seekers on August 26, 2013 by Idaho Department of Labor. A job fair is a great way for an employer with multiple job openings to meet several prospective employees at once. So how can a job seeker stand out in the crowd? Workforce consultants from Idaho Department of Labor offices in Boise and Meridian have these tips to share. 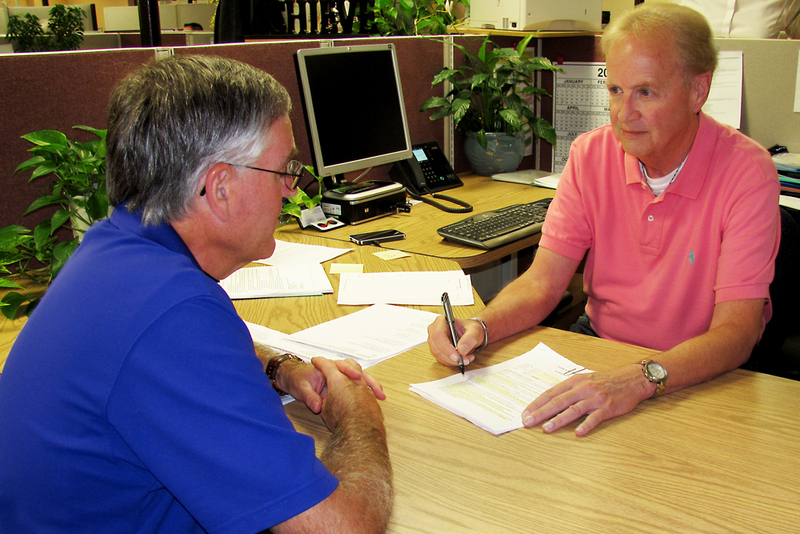 How should a job seeker prepare for a job fair? Research the companies that are participating. Learn more about their business and job openings and be prepared to answer any questions that may come up at the fair. Practice a 15-second personal commercial including your name, your profession, occupation or the job you are seeking, your experience and a unique selling point (what sets you apart). Arrange for childcare. You will be meeting employers and they will want to talk with you without any distractions. How should a job seeker dress for a job fair? 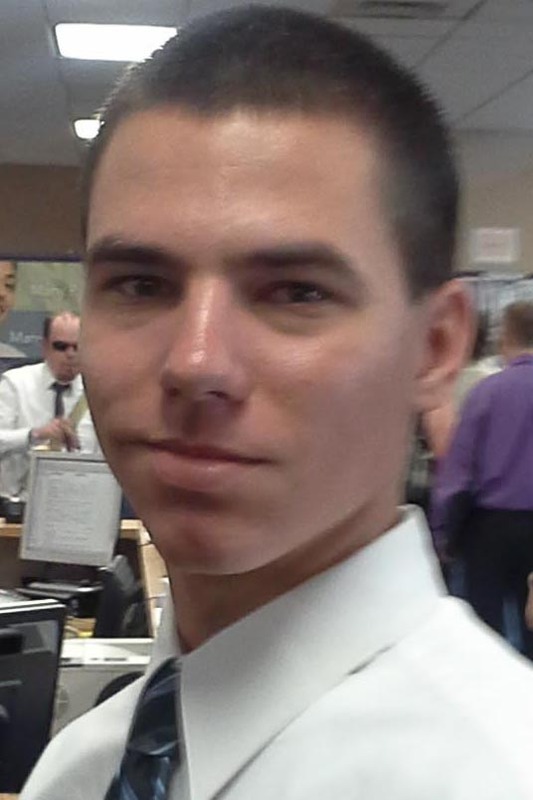 Levi Sliwoski came to a job fair in May at the Boise local office dressed for an interview. First impressions leave lasting impressions. Dress for success and as if you are going to an interview. This includes making sure your shoes are shined and your clothes are pressed and unwrinkled. This entry was posted in FAQ Friday, Job Seekers and tagged FAQ Friday, idaho department of labor, job fair, job seekers, preparing for job fair on August 16, 2013 by Idaho Department of Labor. Education is important in determining the kind of job a worker can get, and, as importantly if not more so, how much it pays. But while more education has benefits, not all occupations requiring a higher level of education pay a higher wage. The reverse is also true – some occupations requiring little education provide decent paychecks. The U.S. Bureau of Labor Statistics assigns a minimum level of education required for each occupation. The wage paid to the 10th percentile of workers in each occupation is used as the entry level wage for that occupation. Although the wage paid to the 10th percentile of workers is not exactly the entry wage for each occupation, it is a legitimate stand-in for entry level pay. 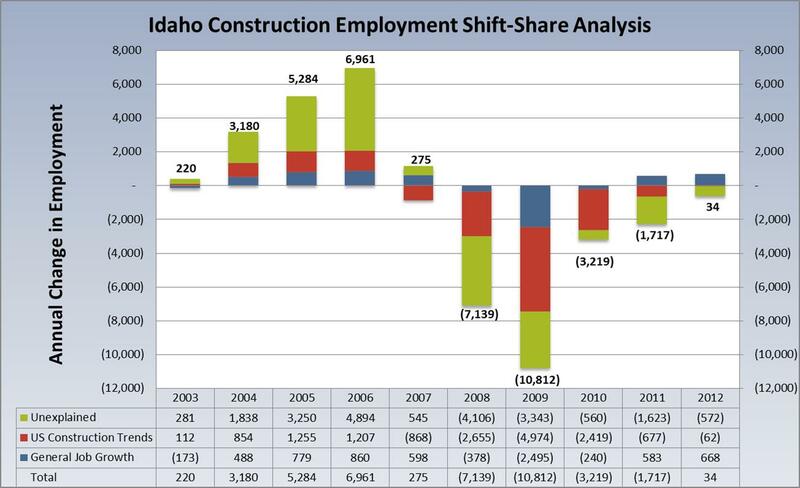 This entry was posted in Employment News and tagged education, idaho department of labor, Idaho wages, wages on August 1, 2013 by Idaho Department of Labor.